VillageReach employs staff with diverse professional backgrounds covering public health, law, business development/marketing, finance, and software development. We have approximately 75 employees across all offices, the majority of whom live and work in the communities we serve. 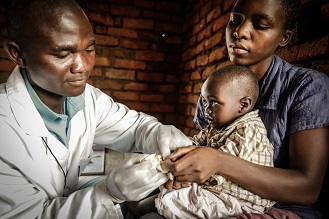 The goal for global health innovation is to identify successful approaches and move them to scale – reaching as many underserved communities as possible with improved access to quality healthcare. Sometimes this is accomplished with new partners or transitioning greater ownership to country governments – but sometimes successful scaling is about sharing what we’ve learned. Emmanuelle Assy’s job is just that. 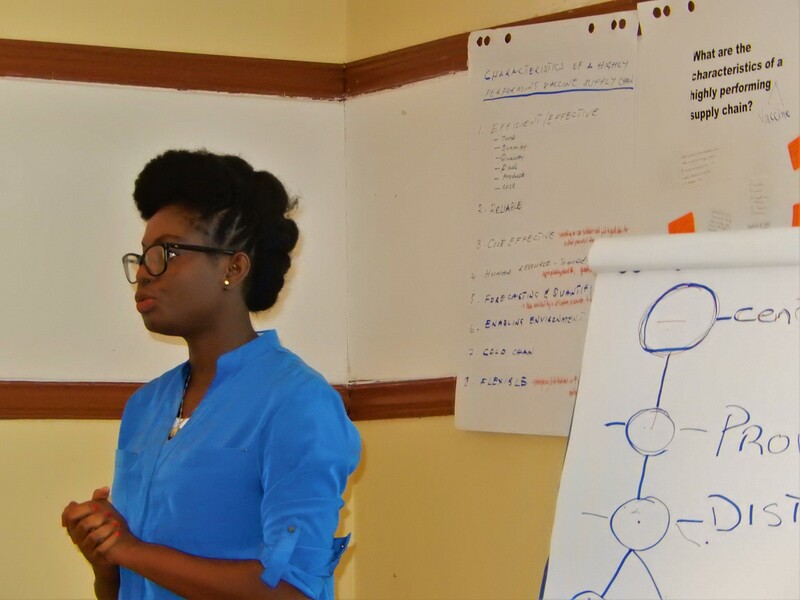 As VillageReach’s Immunization Supply Chain Improvement Manager, Emmanuelle works with stakeholders, partners, and governments around sub-Saharan Africa to introduce and explore new tools and approaches that challenge the status quo of existing supply chains. For example, she leads computer simulation modeling exercises, which help countries understand different options for making an immunization supply chain more efficient and cost effective. By reducing the risk to bold new ideas, these modeling exercises help government stakeholders think more broadly about their supply chain system and the importance of system design. Through stakeholder workshops, Emmanuelle shares technical expertise and lessons learned from successful new approaches like the dedicated logistics system in Mozambique. Through this work, Emmanuelle helps countries learn from each other – to imagine and consider what is possible. These workshops also give her, and VillageReach, the opportunity to learn. Working with new stakeholders in new contexts broadens our collective experience, and uncovers common threads between geographies. 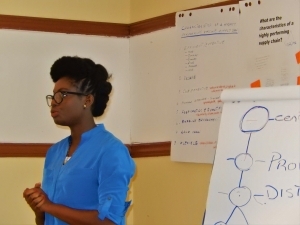 Once these workshops are over, Emmanuelle works with stakeholders to develop supply chain improvement plans and put some of these lessons learned into action. Emmanuelle is well suited for this role. She brings more than 10 years of experience in supply chain management, program development and monitoring and evaluation, both in the private and public sector. She also brings a passion for public health. 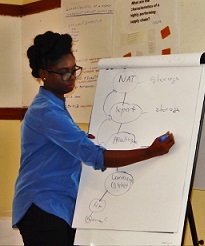 Currently based in Benin, Emmanuelle Assy leads computer simulation modeling exercises to design more cost effective immunization supply chains and provides technical guidance to develop supply chain improvement plans to ministries of health and partners throughout sub-Saharan Africa. Emmanuelle has worked for more than 10 years in supply chain management, program development and monitoring evaluation in both the private and public sector. Prior to joining VillageReach, Emmanuelle worked as a Monitoring & Evaluation Technical Advisor with the Agence de Médecine Préventive (AMP) in Benin where she was responsible of developing appropriate evaluation frameworks to the optimized logistics systems (OLS) and monitoring the national scale up of the new system in close collaboration with the national EPI logistics team and partners. She also worked for UNOPS and The Maersk Group. 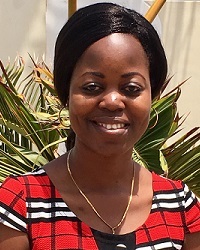 Emmanuelle holds a MSc in Logistics and Supply Chain Management from the National Polytechnic Institute of Yamoussoukro, Côte d’Ivoire and a MA in International Development Studies from Ohio University. Emmanuelle is also a Fulbright alumni. 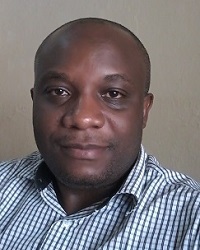 Clement is based in Democratic Republic of Congo, where he provides project management, stakeholder management, and resource mobilization for the development and implementation of new distribution models. He supports the capacity building of the Ministry of Health and partners at both the national and provincial levels. Clement has worked for more than 10 years in supply chain management, program development and monitoring and evaluation in public sector. Before joining VillageReach, Clement worked as a consultant on the DRC supply chain strategic plan. 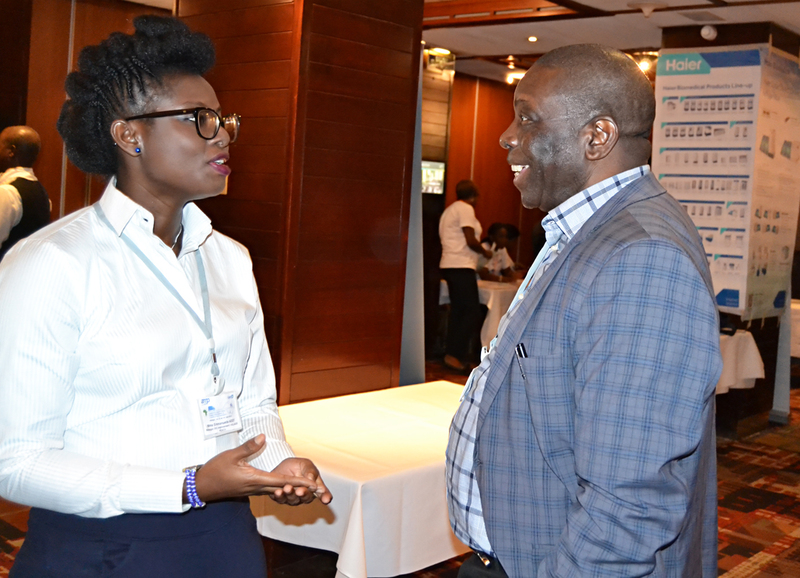 He has also worked as a health advisor and procurement supply manager for both government and NGOs. Clement hold his Masters in Pharmaceutical Sciences from the University of Lubumbashi. Bvudzai is the Senior Technical Advisor for Research & Advocacy at VillageReach. Based in Cape Town, South Africa, most of her work is centered in Mozambique, the Democratic Republic of Congo and Malawi. Driven by an interest to witness meaningful and sustainable change in underserved communities, she is responsible for generating evidence from the organization’s work to improve access to health care at the last mile and to use that evidence for advocacy. More recently, she has taken a keen interest in understanding the notion of scaling and sustaining social innovation in health through government to ensure cohesive integration in health systems and sustainability – what makes it work, in what contexts and how? Bvudzai studied public health in Zimbabwe and South Africa up to doctorate level. All of her work experience in the past 11 years has been in public health research with a goal to inform policy and practice – advising governments, donors and NGOs and previously as an academic. Her work has been widely disseminated at local and international conferences and published in high impact peer-reviewed journals. 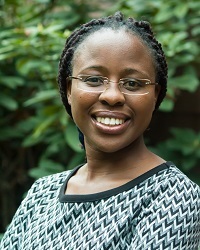 She was selected for the Emerging Voices for Global Health (EV4GH) award in 2013, an innovative multi-partner blended training program connected with the Global Symposia on Health Systems Research. This programme targets young, promising and emerging health policy and systems researchers, decision-makers and other health system professionals with interest in becoming influential global health voices and/or local change makers, particularly in LMICs. In 2016, she was appointed a mentor for EV4GH. She also contributes as a member of the Scientific Committee for the Global Symposia on Health Systems Research (held bi-annually). Her curious mindset can be traced back from childhood when she aspired to become a lawyer and journalist and was often spotted sitting at the family table back in Zimbabwe pretending to be a television news anchor. The latter was realized when she anchored a community program on national television in 2006-7. The former is a lived reality each day as she is confronted with tough questions for research which when answered can inspire lasting solutions and transformative change in the communities where we operate in. Leadership implies that there are ‘followers.’ This by no means refers to rank or authority but a willingness on the part of others to follow in the direction we have set. In VillageReach’s work of social innovation, we are constantly seeking for a ‘following,’ whether that is government, partners or the populations we are trying to serve. While there is a myriad of institutions, they are made up of real people, and effective leadership invests in relationships with the faces behind the institutions, works to win their trust and confidence then invites them to follow the grand idea! Effective leadership has the capacity to inspire – there is something to be learnt from Simon Sinek’s concept of the ‘golden circle’, also termed ‘the power of why’ suggesting that those who inspire in their leadership start from the ‘why’ (purpose and values not results) then move to the ‘how’ (value proposition) and finally the ‘what’ (product). On the other hand, those who are ineffective reverse that order and are often not able to articulate the ‘why’ even when their product is brilliant. When people are inspired, leadership is distributed and becomes a practice rather than a role or responsibility, and that is the right environment for change. Sustainable social change requires having other people who believe what we believe beyond our organization’s existence in a particular place or even beyond the existence of a handful of people in certain positions. How to influence a whole system ought to be the subject of inquiry for every responsible leader. I work with relevant stakeholders to ensure there is a sustainable mechanism of using data for decision making to improve supply chain performance in Tanzania. I hope to be able to instill in government counterparts a data use culture for decision making. I love traveling to new places. My favorite place to travel to is Cape Town. It’s so beautiful and well planned. The beaches are great and there are a lot of nice places to visit such as Table Mountain. What something interesting about you? I have always been the tallest girl in class from primary to University level. I am also the tallest girl at work. I just have that track record. Niza is responsible for eLMIS (Tanzania’s implementation of OpenLMIS) governance planning, communicating with the OpenLMIS community, transition planning with the Ministry of Health and Social Welfare (MOHSW), expanding the use of eLMIS, and improving data quality and use for decision-making. He has a Bachelor’s degree in Computer Science & Statistics, is a certified DHIS2 system administrator, and is working on a Master’s in Health Informatics. 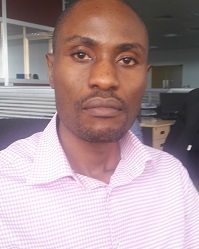 He has over 10 years of experience in the management of information systems including system design, development and administration, database design and administration, and GIS. His previous positions include Head of the Strategic Information Unit (PSI), MIS Manager (PSI) and IT MIS Engineer (Airtel).